Zip passes along the floor. Make sure we receive ball across the body. Supporting angles always ahead or behind the ball. Communication and checking to and from the ball. Arrive as the ball arrives. 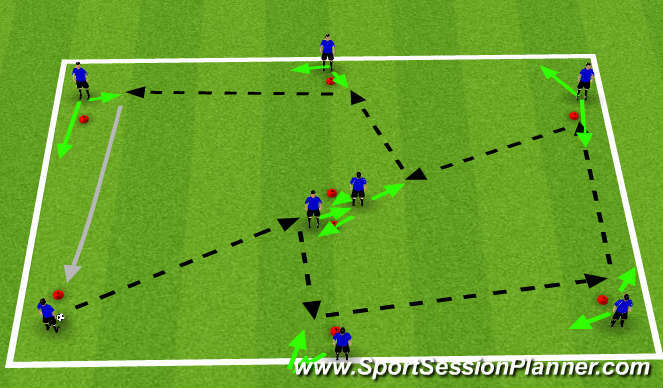 5v2 to 3 goals: Playing out of the back. Rotate ball quickly through the back. Look to find the CMF to relieve pressure and switch POA. 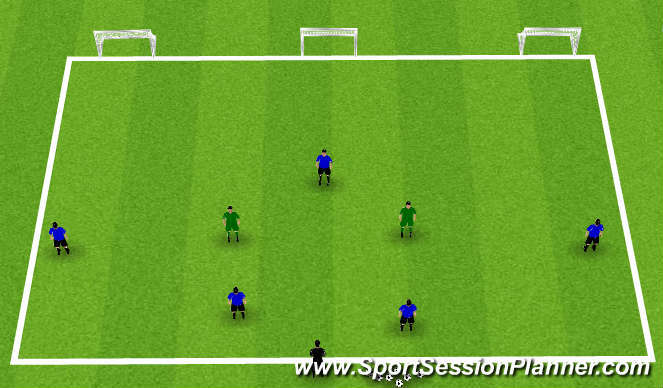 Good pace on passes, supporting movement behind or ahead of the ball, look for weak side defenders to release up the field. When reds win the ball, they try to keep the ball as long as possible. Blues must press and win the ball back. Blues try to possess against 5 reds. 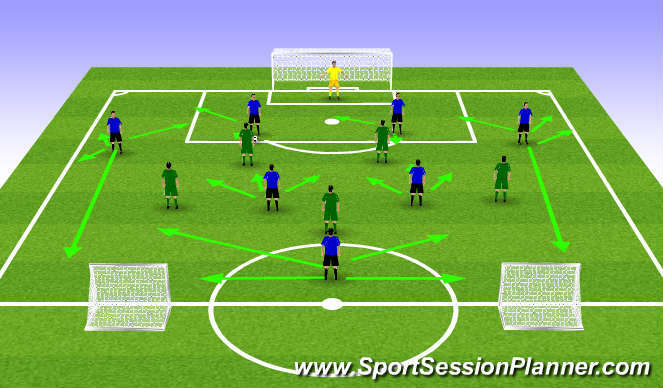 Object is to circulate ball, correct movement from MFS and supporting movements from defenders. Threatening runs from striker to get in behind. If reds win ball, they try to score on the big goal as fast as they can.